November 4th, 2011 by Arwin John. This video recording was taken at the Politeknik Tuanku Syed Sirajuddin which is located in Arau, Perlis. We had great emf readings on our k2 emf meter to validate our video recording as well as our personal experience. In this video recording, you will realize right before the black appairiton takes place to appear, a spirit in the form of supercharged orb in motion appears and than it transforms into the black apparition all of a sudden. 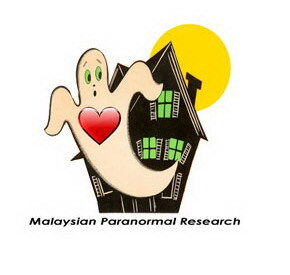 This video recording is the longest ever recorded video of the spirit apparition in Malaysia which is for nearly more than 1 minute 30 seconds. This is one of the best ever evidence of spirit appearence in the form of apparition for such a long time. I would like to thank the spirit's kindness for taking part in my investigation as well as for appearing in front of the video camera for such a long time upon granting my wish. © 2007-2011. Arwin John. All Rights Reserved.